The 5/8" bore front hub bearing is the most common used bearing for front hubs. 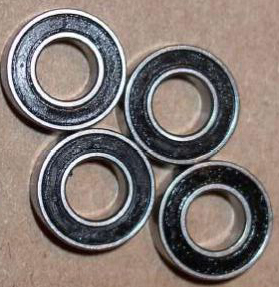 You will find that 97% of hubs on the market use this bearing. The code on these bearings is 99502H.